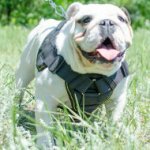 Which Padding of English Bulldog Collar for Choose? 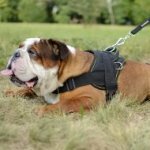 Why to get English Bulldog dog collar with lining? 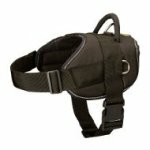 Padded collars are very soft from the inner side and provide exceptional comfort to a dog. 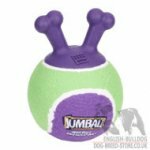 Padding keeps from rubbing, cutting into Bulldog's skin, irritations and hair damage. There are different kinds of lining, but felt and Nappa leather are regarded as the finest ones. Let's learn more about them. Felt is dense and pleasant to the touch material. 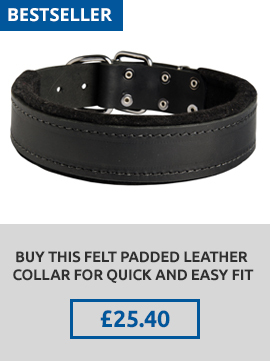 Felt padded collars are warm and suited for nippy weather. They are also excellent for puppies and Bulldogs with tender skin. 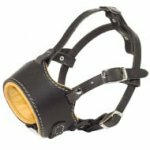 Felt lined collar will be perfect for Bulldog, which pulls on the leash. Padding will prevent neck traumatizing. Felt is friendly for Bulldog's health and skin. 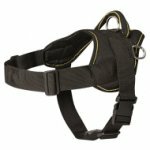 It is thick, but of light weight, wearproof and intended for long-term use. Its edges don't fray and the lining is very practical. 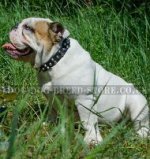 Felt lined collars are intended dog small, medium and large Bulldogs of any age. 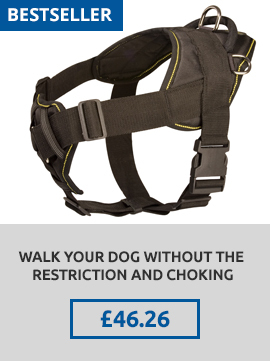 You can walk, train and work with the dog using such a collar. 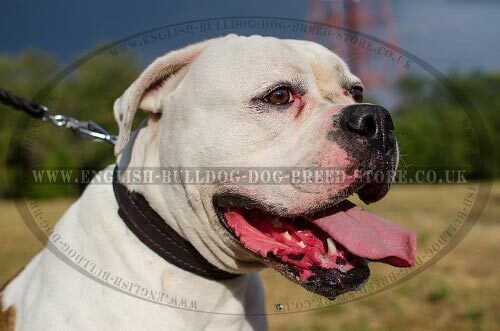 Dog collar for English Bulldog with Nappa lining is very comfortable, soft to touch and wear. Nappa is the type of natural leather. Its premium quality makes the material widely used for cozy accessories producing. Nappa padded collars are smooth and harmless. The lining is non-toxic, hypoallergic and dog-friendly. 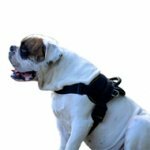 Nappa lined collars are in use for medium and large Bulldogs, which are strong, active and need standby control. 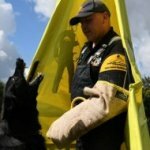 The collars are made of durable leather to be extra strong and padded with Nappa to be maximum comfy for dogs and to avoid skin problems and discomfort. Nappa is nice to the feel and sensible. 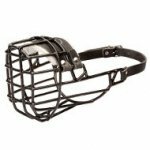 It is thin, but firm and resistant to wear, waterproof and of easy maintenance. Nappa lined collars look rich even if they are of usual design. 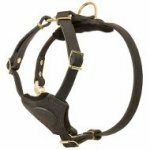 Your Bulldog will have functional and luxury looking collar that fits for everyday activities and special occasions. 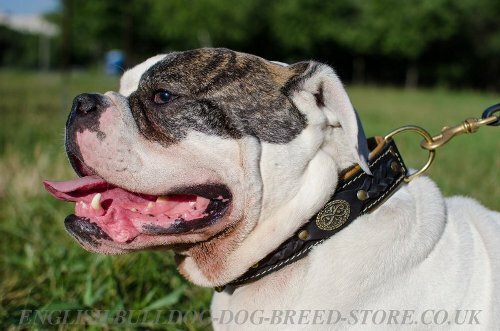 Both collars are usable and suited for Bulldogs. 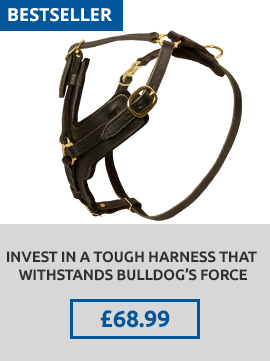 This depends on your Bulldog's size which one to get.